Flashing Railroad crossing, trailer hitch cover. You install my invention into your trailer hitch, when you are not hauling a trailer. You connect the wiring harness that is attached to my invention, to the wiring harness on your vehicle. When you press the brake pedal on your vehicle, the 2 red LED lights start flashing 'left and right' on my invention. As of September 2013, I have sold over 500 units. The web sites Link and Link are not for sale at this time. I would like to hear ALL offers. I would like to sell the patent and also the plans and inventory of parts that I have. Thank you. 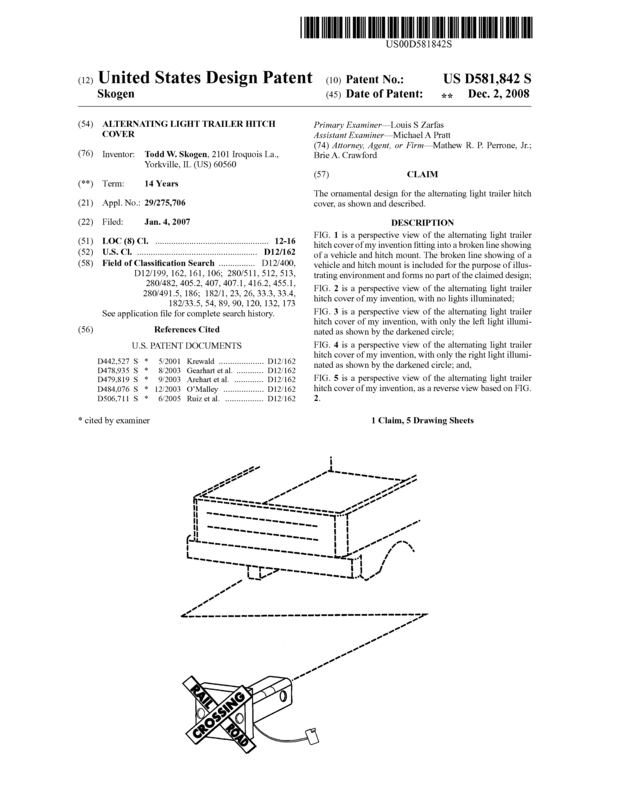 Page created at 2019-04-25 18:36:41, Patent Auction Time.